Looking For A New Mattress? Check Out This Costco Deal! You are here: Home / Sponsored / Looking For A New Mattress? Check Out This Costco Deal! Need a better night sleep? 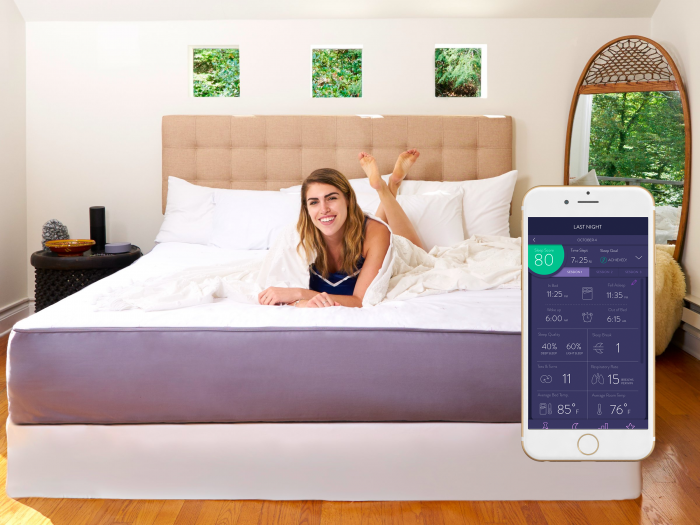 There are a ton of mattress brands out there with sales going on, but we’ve found these great deals from EightSleep, a smart mattress company with impressive discounts given the quality. Costco has a sale for $150 off one of their most highly rated beds (in fact, it has more reviews than some of the Sealy beds). The bed is called Eight Sleep Bliss. This bed not only has 10 inches of quality memory foam, it also includes smart technology. Every night you get a sleep report with a sleep score and a broken down report featuring light and deep sleep, heart rate, breathing rate, tosses and turns, and more! Using this data, it has a smart alarm to wake you up during the best time in your sleep cycle. The bed also has dual-zone warming (no fighting over the covers) and connects to smart devices such as Alexa, Philips Hue, Mr. Coffee, and more.